Looking to explore Peru and the Andes apart from the crowds? Explore Peru with us on one of our newest itineraries that allow you to marvel at the Inca ruins that have withstood the test of time, explore the Sacred Valley on a mountain bike, trek the Andes without the crowds and enjoy one day on the Inca Trail that brings you to Machu Picchu through the Sun Gate. In the Andean culture, the “Apus” (Gods) are the spirits that protect life, many are represented by mountains and one of the most important is the impressive Nevado of Salkantay (6,271m/20,569ft). Over five days we will cross landscapes with a spectacular view of snow-capped peaks, colorful lakes impressive mountains, queuñas forests (a native tree), remnants of ancient Inca trails, confluences of rivers, glaciers, among other stunning natural scenes. Day 4 Begin trekking on the Salkantay ! We first drive approximately 3.5 hours to Marcocasa and after 30 minutes of hiking, stop for lunch. The following 2 hours of hiking to Challacancha are fantastic with views of several peaks looming above us. Day 5 After breakfast, we trek for 1.5 hours to Soraypampa with views of Humantay (5,917 m), Tucurway (5,910 m) and Salkantay (6,217 m). Soraypampa to Salkantay Pampa (our lunch stop) is another hour’s walk, followed by 1.5 hours trekking to Ichupata. Day 6 Veering off the main trail for the Inca Trail, we continue towards Salkantay over the Incachiriaska Pass (5,028 m), the highest point on the trek. Descending the pass we will come to the small community of Pampacawana, our resting spot for the night. Day 7 As we continue our descent, we trek for 4 hours to the site of Puacarcancha, where we stop for lunch. After lunch is a 2 hour walk to Hatunchaca for the evening. Day 8 Waking to the beautiful view of Hatunchaca, we walk just over 1 hour to the archeological site of Llactapata. Our descent continues for 3.5 hours to Picaucucho. 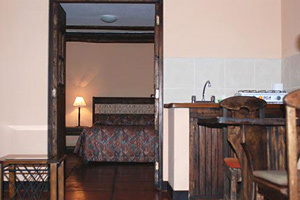 Tonight you will enjoy a shower and bed before hiking to Machu Picchu tomorrow! Day 9 After being dropped off at Km 104, we pass the ruins of Chachabamba before ascending to the incredible ruins of Winay Wayna. We reach the Sun Gate of Machu Picchu in the golden afternoon light and enjoy a brief initial visit to the ruins. Overnight in the small town of Aguas Calientes. Day 10 In the morning, we return to Machu Picchu where we spend most of the day with our knowledgeable guide. In the late afternoon, we climb aboard a first-class train for a ride back to Cusco. Day 11 Transfer to airport for flight back home. After a sumptuous breakfast at the hotel we will pick you up and transfer to the south of Cusco. Our goal is to visit archaeological sites surrounding Cusco, namely Sacsayhuaman & Qenco. Along the way we take in the Peruvian countryside, enjoy spectacular views of the high Andean snow capped peaks, and get a true sense of how people are living in the villages around Cusco. We will spend plenty of time on foot exploring the Inca ruins with our knowledgeable guide. From there, we begin a short and easy walk following an old, but well preserved Inca Trail. Gradually we descend from the rural to the urban, passing by the Temple of the Moon to finally reach the main square of Cusco. Mountain biking into the Sacred Valley – the perfect, active way to see the Peruvian countryside and have some fun at the same time! We have front suspension Marin mountain bikes, helmets, and gloves. The ride can be tailored to all ability levels as we are followed by a support vehicle. We begin our biking adventure pedaling along the shore of the beautiful highland Lake Huaypo. We then begin our cross-country cruise at the town of Maras (elev. : 3,500 meters – 11,090 feet) until arriving at the archaeological site of Moray – a very impressive Inca agricultural experimental center. During the ride you will have ample time to take in the beautiful Andean landscape – including impressive views of the snow-capped peaks of La Verónica (elev. 5,682 meters -18,600 feet) and Chicon (elev. 5,530 meters, or 18,140 feet). This ride takes us away from the other tourists and allows us to see the less trodden, real Peru, as we bike on dirt roads and footpaths and through traditional villages. Half way through our journey we stop for a gourmet picnic and some well deserved rest in a dramatically picturesque setting. We then begin the downhill portion of the trail, following ancient Inca footpaths, eventually reaching the salt mines of Pichingoto. These are not actually mines, but a rather amazing conglomerate of over 3000 evaporation troughs carved into the hillside where the salt-laden silt gathers and becomes gradually distilled into rock salt. This site is very ancient, but was perfected and developed to a high degree by the Incas. Depending on our time, we can either stop and visit this fascinating complex or continue straight through to the bottom of the Sacred Valley of the Incas. This ride is a true Classic! This route has not been much explored yet by travelers visiting Peru. In the Andean culture, the “Apus” (Gods) are the spirits that protect life, many are represented by mountains and one of the most important is the impressive Nevado of Salkantay (6,271m/20,569ft). We will drive for 3.5 hours to Marcocasa. When we arrive we will walk for 30 minutes to the place where we will have lunch. Leaving Marcocasa we’ll carry on along the trail heading for Challacancha. Today is fairly easy going without too much distance to cover. The views today are fantastic and we will see several high peaks looming above us. 2 hours trekking after lunch will arrive at Challacancha (3900 mt/ 12795 feet) to camp for the night. This morning, after breakfast we will walk for 1 hour and 30 minutes to Soraypamba (3880). By the time we get to Soraypampa the 3 main peaks of the region, Humantay (5917m / 19412 ft.), Tucurway (5910m / 19389 ft.) and Salkantay (6217m / 20573ft.) will all be in view. From Soraypampa it’s about another hour’s walk to Salkantaypampa (4100m / 13451 ft.) where we will have lunch and walk for another hour and a half to Ichupata (4430 mt/14534 feet). Today once again we leave the main trekking route as we head for the Inca Trail. Continuing up the valley towards Salkantay we take a side path that leads us up and over the Incachiriaska Pass (Frozen Inca Pass, 5028m / 16495 ft.) which is the highest point on the trek. From the pass we carry on down to the small community of Pampacawana (4000m / 13123 ft.) where we will camp for the night. The views today are once again amazing. Climbing up over the shoulder of Salkantay you feel completely dwarfed by the sheer size of the mountain and can get a sense of why the Inca’s worshipped it as a god. The whole area is dotted with small mountain lakes of varying hues and colours and we will also hopefully see a variety of wildlife such as Viscachas (rabbit-like Chinchillas) and White Tailed Deer and possibly some of the rarer Andean animals like Condors, Guanacos and Vicunas. This day we will start our descent to the end of our trek. First for 4 hours to the archaeological site of Paucarcancha 3150mt, a beautiful place where the views start to change and we will have lunch. After lunch we will have a 2 hour walk to Hatunchaca, where we will camp. We will wake up with beautiful view of the valley of Hatunchaca, walk for 1 hour and 15 minutes to the archaeological site of Llactapata, after the visit we will continue our descend to Picaucucho (2700) for 3 hours and a half to the place where our transportation and lunch we will be waiting for us. Or, gather your group of 6 or more together and head to Peru with dates that work for your schedule!